Showing attorneys 1–15 out of 54 attorneys available for your search query. Michael Burr is a bankruptcy attorney in Milwaukee, WI. 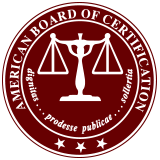 Call for information on Chapter 7 bankruptcy, Chapter 13 bankruptcy, or debt consolidation. A Wisconsin bankruptcy lawyer can help his or her client navigate this difficult legal proceeding.